More questions arise as to the suitability of Cathie Black as the next schools Chancellor of NYC. 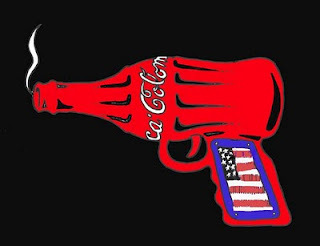 As a member of Coca Cola's board, she had direct knowledge of the aggressive role of Coke company in contributing to childhood obesity in the US and abroad, and to death squads who targeted labor organizers in central and South America. See today's articles from the NY Times and the indefatigable Juan Gonzalez of the Daily News.